Though a small nation, Ireland has given the world a significant number of great footballers who created a plethora of memories to browse through whenever nostalgia hits home. 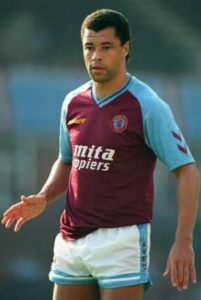 Aston Villa fans will surely remember the time when Paul McGrath was playing as a defender for the football club. Widely regarded as one of the greatest ever Irish players, Paul McGrath is still the favourite football player of many though no longer active on the field. During his career, the Irish footballer played for several clubs, including St Patrick’s Athletic, Manchester United, Aston Villa, Derby County and Sheffield United. At 21 years old, McGarth signed his first professional deal and took the League of Ireland by storm with an incredible debut season, claiming the title of best player in the country at the time. He won the PFAI Player of the Year award with the Super Saints. He was with Aston Villa for seven professional seasons, from 1989 to 1996, and he received the PFA Players’ Player of the Year award again in 1993. Despite his knee problems, he had some of the best years of his career while at Villa Park. He played no less than 252 times for Villa, which is impressive to say the least considering his health issues. On the international stage, he had 83 appearances for Ireland, scoring eight times along the way. Hadn’t it been for his knee injuries, he would have probably reached the 100-cap milestone. McGrath was a supreme defender, there is no doubt about that. But what’s more impressing about his career is that he managed to accomplish all that and receive those accolades while railing against the limits of his own body and battling his own demons. He had problems with dodgy knees, underwent a total of eight operations during his career, and suffers from alcoholism, which made him miss some matches. However, McGrath did his best to keep his personal life personal and his battles with addiction never became apparent to supporters of Manchester United, Aston Villa or Ireland. In his autobiography “Back from the Brink,” which Irish Independent journalist Vincent Hogan helped him write, McGrath states that his ability to anticipate his opponent’s moves and read things on the pitch was the secret to his success. “Back from the Brink” is considered one of the best sports books ever written, with two awards already won to prove it.